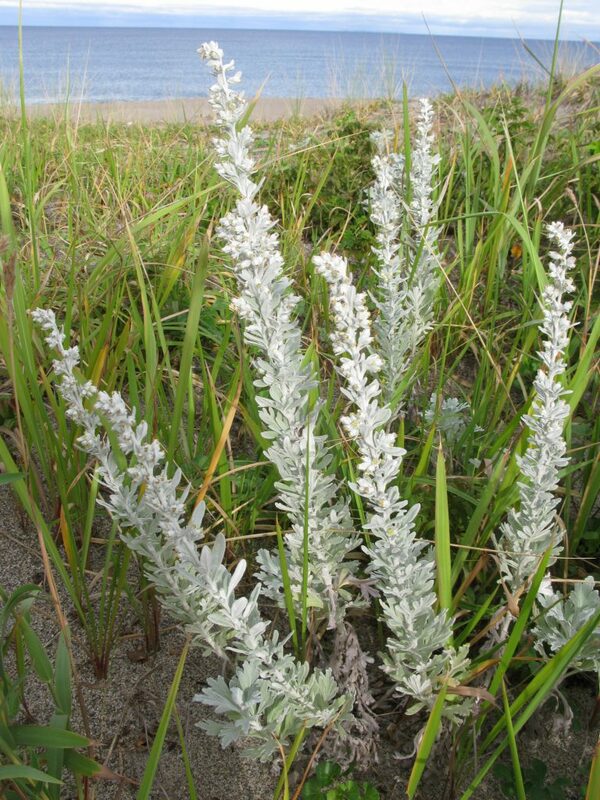 Artemisia stelleriana is a perennial herb, 30-70 cm tall, plant not aromatic; colonial from underground stems (rhizomes), stems unbranched below. Leaves alternate, 3-10 cm long, including stalk, 1-5 cm wide, sparsely but deeply pinnately lobed, lobe tips rounded. 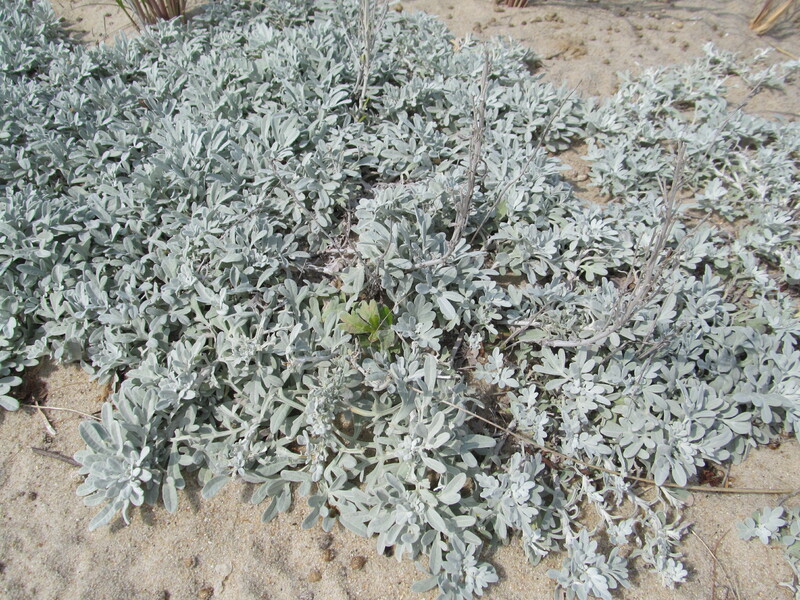 Artemisia stelleriana. inflorescences. commons.wikimedia.org (Accessed 10/2017). Flowers yellowish, very small, tubular, radially symmetrical, in compact heads that arise from a bract-covered floral base (receptacle), flower heads relatively large, numerous 0.6-0.7 cm tall, disk flowers 0.3-0.4 cm; inflorescence, branched, narrow, densely white-wooly; blooming and fruiting May-Sept.
Notes: Escaped from cultivation. Common on Sandy Hook NJ.